Remove the battery. Refer to Battery Replacement. 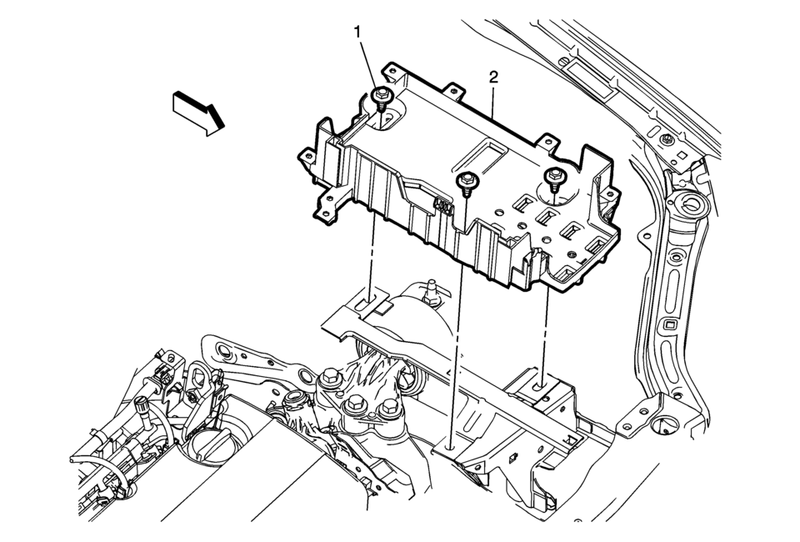 Unclip the engine control module (ECM) bracket from the battery tray and set aside. Unclip the battery current sensor from the battery tray and set aside.